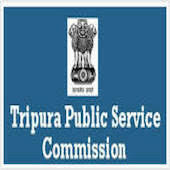 TPSC Jobs Recruitment Notification 2018.Tripura Public Service Commission, TPSC inviting applications for the positions of personal Assistant Grade II.Interested and Eligible candidates can apply for the positions. Mode of Payment : Candidate Pay through Online Mode. Candidate first of all must visit officials website to prescribe the format of Application form after that filled with fallowed by instruction which is mention in notification then after send to officials address of which is mention in below or candidate apply online also. Candidate must check full detailed of notification to get full information regarding applying process.